We love to hear back from the participants that we send on volunteering and paid work projects. 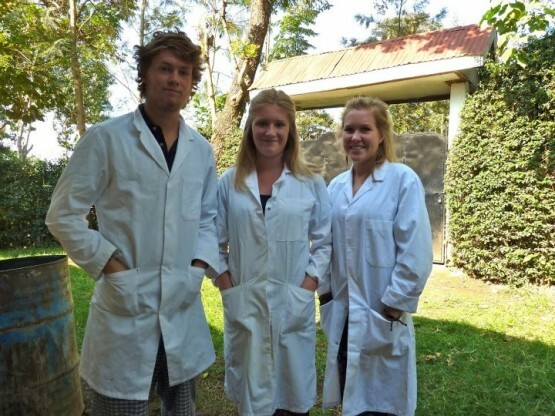 Megan Parish, who enjoyed a medical experience gap year in Tanzania with Oyster, shares her experiences from her three months away. What did your medical experience gap year involve? Each day started with a morning meeting, where the doctors discussed any new admissions, problems or specific cases. Following on from that we would help on the female ward, cleaning the ward and instruments. We sat in on consultations with patients and helped on the ward rounds. They taught us how to take temperature and blood pressure. We learned a lot from the doctors about the patients’ conditions and typical diseases. We saw births and c-sections taking place in maternity and helped take patients into surgery. In the lab we got to watch blood tests, use microscopes and do malaria tests. Helping out in minor theatre was the most hands on experience- we got to help take casts off, pass the doctors their instruments during procedures and help support/ control the patient whilst bones were set. We also helped out in the family planning clinic, where we sat in on the doctors giving advice on family planning, and the diabetes clinic where we helped weigh patients and assist in their check ups. Probably the first week on the projects, meeting everyone and working out what to do whilst trying to understand what everyone was saying and not insulting anyone by using the wrong greeting! How well did you adapt to living away from home in a different culture? After the culture shock of the first few weeks it was brilliant! I had more of a culture shock coming home and it took longer to adjust! Didn’t really have any problems but I would advise future volunteers to try and learn some Swahili before you go as it really helps as well as having lessons, it’s a lot easier to get more out of your project if you try and speak as much Swahili as possible. Did the placement live up to your expectations? Please provide details. Yes it was amazing! Got to do two projects which I hadn’t planned on so that was brilliant! Never thought about teaching but I absolutely loved working at the nursery and met some great people and all the locals in our village were so friendly and welcoming! If I didn’t have to go back to Uni I would’ve never left! Don’t waste a minute! Get involved as much as you can in your village and on your projects and definitely leave enough time and money to do some travelling! And don’t worry at all before you arrive! All of it! Feeling like you were actually making a difference to the children we were teaching and feeling like Tanzania was home.